The name of “The Zodiac” did not appear in the first letters mailed by the notorious killer. In the three letter of July 1969, the author referred to himself as “the murderer” and “the killer,” however, he did draw a crossed-circle at the end of each letter. These letters accompanied one-third of a coded message consisting of symbols commonly used in mathematics, astrology and Navy cryptography. In his next letter the author referred to himself as “The Zodiac,” and, again included the crossed-circle symbol. This symbol would continue to appear in almost all of the killer’s authenticated communications. zodiac: n. 1.a. A band of the celestial sphere, extending about eight degrees to either side of the ecliptic (the sun’s path), that represents the path of the principal planets, the moon and the sun. b. In astrology, this band divided into 12 equal parts called signs, each 30 degrees wide, bearing the name of a constellation for which it was originally named. 2. A diagram or figure representing the zodiac. Gk. zodion – small represented figure). zodiacal, adj. The crossed-circle often represents a compass and the corresponding directions North, East, South and West. In relation to the astrological zodiac, the symbol is also used in this manner, or to denote the four seasons of spring, winter, fall and summer. The symbol also serves as the astrological notation for the planet earth. The crossed-circle is also a fundamental symbol in mathematics, representing what the Cartesian Unit circle. Used in advance calculus and other mathematical applications, the Cartesian Unit is part of a system whereby points on a plane can be located by their “Cartesian coordinates” along the vertical, or y-axis, and the horizontal, or y-axis. The x and y axis divide the Cartesian plane into four sections, called quadrants. In the first, or upper right quadrant, all the coordinates are positive. In the second, or upper left quadrant, the x-coordinates are negative, and the y-coordinates are positive. In the third, or lower left quadrant, all the coordinates are negative. In the fourth or lower right quadrant, the x-coordinates are positive; the y-coordinates, negative. These quadrants read counterclockwise, and arcs on this unit circle are measured in radians. In June of 1970, the San Francisco Chronicle received one of the Zodiac’s most mysterious pieces of mail. 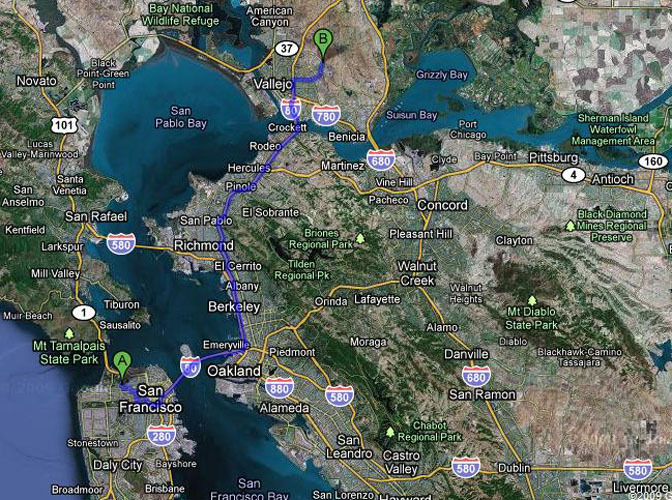 The envelope contained a letter and a map of the Bay area. 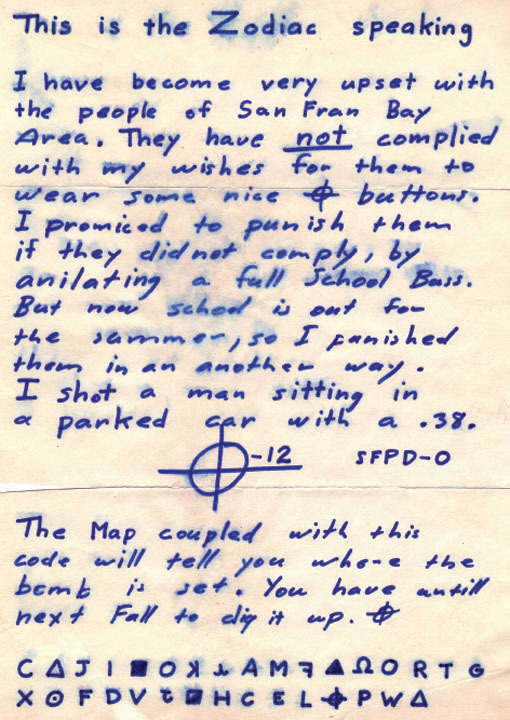 The letter featured another code which the Zodiac said was to be used in correlation with the enclosed map in order to determine the location of a bomb. The code consisted of 32 characters; some were letters of the alphabet and other were symbols found in astrology, mathematics, etc. Above this code, the Zodiac had drawn another crossed circle, and to the right, added the number 12. This was an obvious reference to Magnetic North, defined as the direction to which the north-seeking pole of a magnetic compass needle points. The magnetic force of the earth pulls the compass needle out of alignment with true north. The difference between true north and magnetic north is the angle of declination, which varies according to the location of a compass on the earth. The angle of declination from Mt. Diablo at the time the Zodiac sent his map was estimated between 16.5 and 17 degrees east of true North. The declination is occasionally adjusted as the magnetic force of the earth that causes the variation shifts and changes with the passage of time. In order to locate a bomb, it would be necessary to study the map and determine where to look for such a device. To identify that location using the code and “radians,” geometric angles must be applied to the map and the geography it depicts. The word “survey” is defined as determining and delineating the form, extent, position, etc., of, as a tract of land, by taking linear and angular measurements, and applying the principles of geometry and trigonometry. 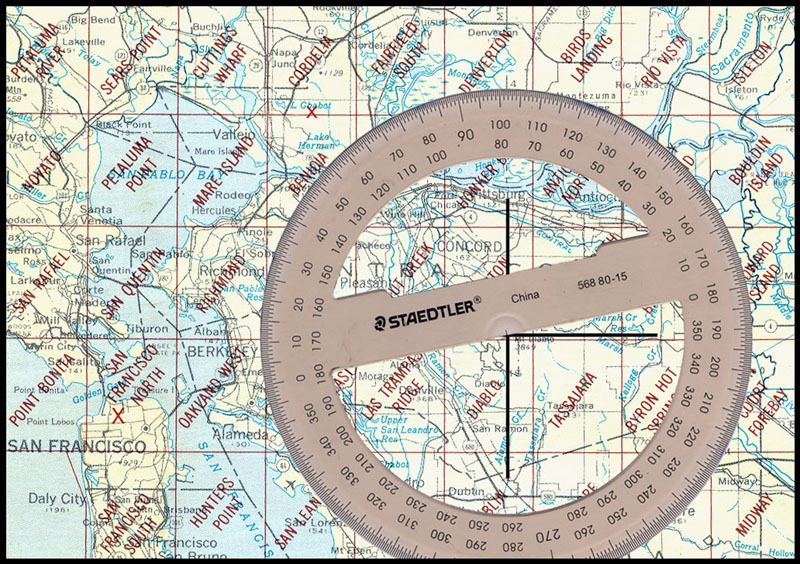 As noted earlier, navigators and surveyors measure radians by degrees in accurately determining the precise geographical locations on a map as well as on the earth itself. Therefore, if the radians are intended to indicate a geographical location, these radians would most logically be measured in degrees. The radians would somehow be located and marked on the map, possibly using both Mt. Diablo and Magnetic North as references. Once the radians were located on the map, it would be necessary to measure a number of “inches along the radians” in order to narrow the search for the location in question. Of course, it would also be necessary to decipher the “Mt. 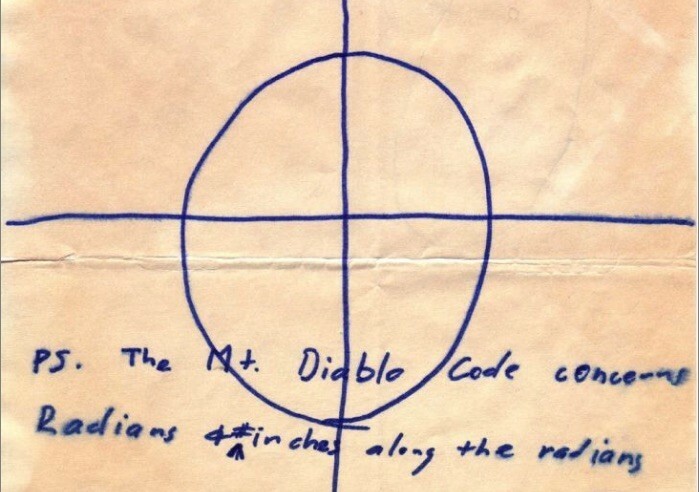 Diablo code” to determine its true meaning and accurately place these radians on the map. The illustration below demonstrates the conversion of radians to degrees, or degrees to radians, and their relationship to the circumference of a circle. In order to follow the Zodiac’s instructions, one would first determine the numbers of radians and then measure a number of inches along the arc created by that radian. 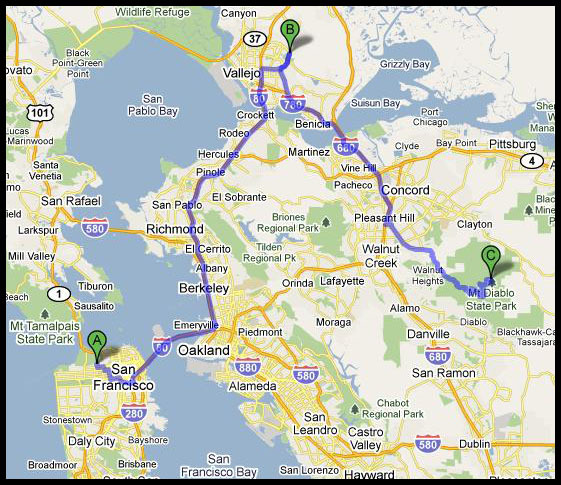 The Zodiac’s map illustrates the Bay area, including San Francisco, Berkeley, Oakland, and the southern portion of Vallejo. The border of this map falls just north of Lake Herman Road, which is clearly visible at the top. Blue Rock Springs Park, not visible on this map, would appear just above its northern border. The only other “Zodiac” crime scene visible on this map is the intersection of Washington & Cherry Streets in San Francisco, scene of the murder of cabdriver Paul Stine on October 11, 1969. Zodiac theorist Gareth Penn claimed that he was drawn into the Zodiac story after he discovered that the killer had created a large radian angle with two of the crimes scenes – Blue Rock Springs Park (the location of the Zodiac’s second shooting) and 3898 Washington Street in San Francisco (the location of the Zodiac’s last known murder of cabdriver Paul Stine). According to Penn, he made this discovery in December of 1980, and he then launched his own amateur investigation which led him to his pet-suspect, former Harvard lecturer Michael O’Hare. 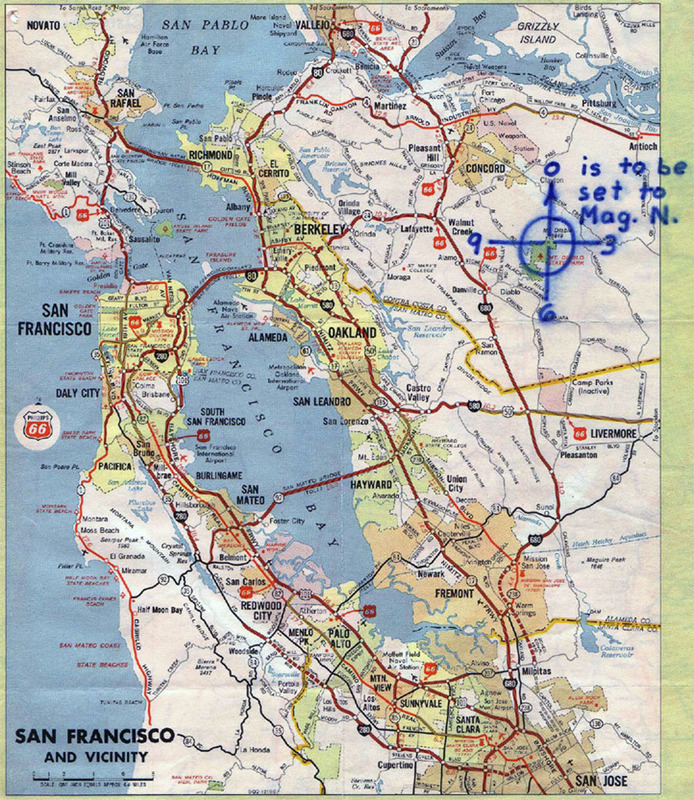 Penn’s “radian discovery” seemed compelling; the notion that the killer had chosen his murder sites in order to create an invisible geometric angle over the geography of Northern California indicated that the Zodiac was an intelligent, educated and brilliant criminal who had carefully plotted his crimes as part of some grand design. Penn and his radian theory were featured in many news reports. The theorist wrote several articles for a Mensa publication and even appeared in the 1999 television documentary Case Reopened. Penn’s self-published and often-confusing book Times 17 first appeared in 1987. The author’s theories regarding the Zodiac’s identity, motives and methods were based on Penn’s interpretation of the Zodiac’s writings and the radian theory served as the foundation of his entire approach to the unsolved case. Almost 30 years after making his discovery, Penn still accuses his suspect and his radian theory has become a prominent part of Zodiac history. Penn claimed that the crimes scenes at Blue Rock Springs in Vallejo and Washington and Cherry Streets in San Francisco form an angle measured at approximately 57.3 degrees, or one radian. However, he was mistaken regarding the actual location of the shooting at Blue Rock Springs. 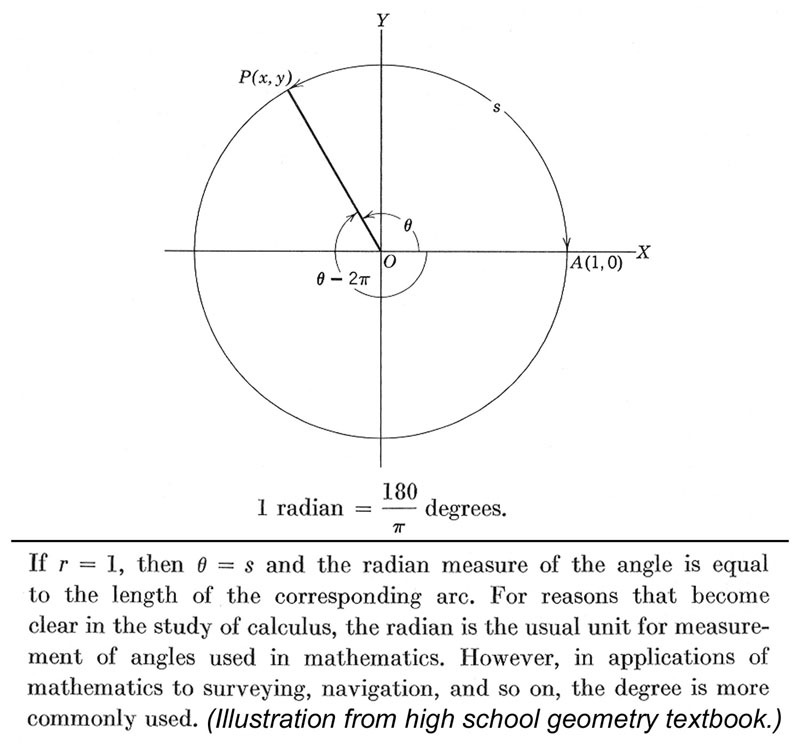 In his book Times 17, Penn described how he had first discovered the radian. The shooting did not take place at the Blue Rock Springs golf course, as Penn wrote, but across the street and further East at Blue Rock Springs Park. 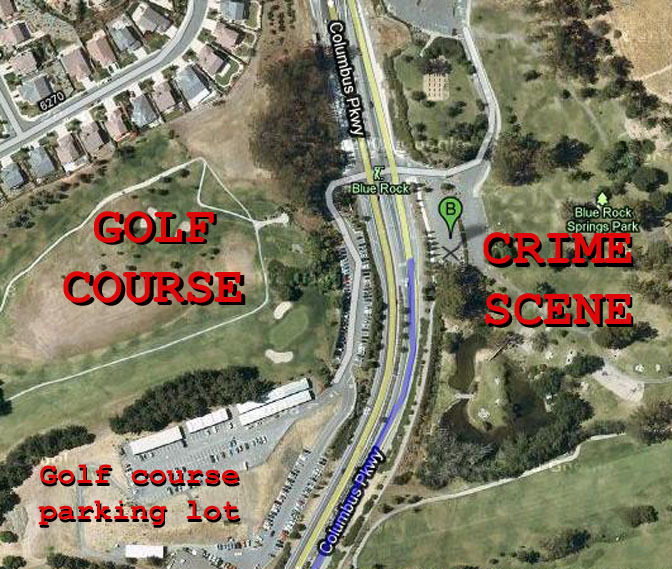 The golf course and the San Francisco crime scene formed an angle slightly larger than a radian, and the correct locations form an angle measured at approximately 60 degrees. When a radian angle is measured from the scene in San Francisco, the 57.3 degrees position falls far short of the scene at Blue Rock Springs Park. The Zodiac wrote that his code and map concerned “radians,” meaning more than one radian. In mathematics, radians are not always measured in full units; rather, radians can be measured in any numerical value. Common sense and the facts indicate that the Zodiac’s clues do not concern a radians, but more than one radian, as in “radians.” The single radian theory also fails to account for the Zodiac’s instructions regarding the Mt. 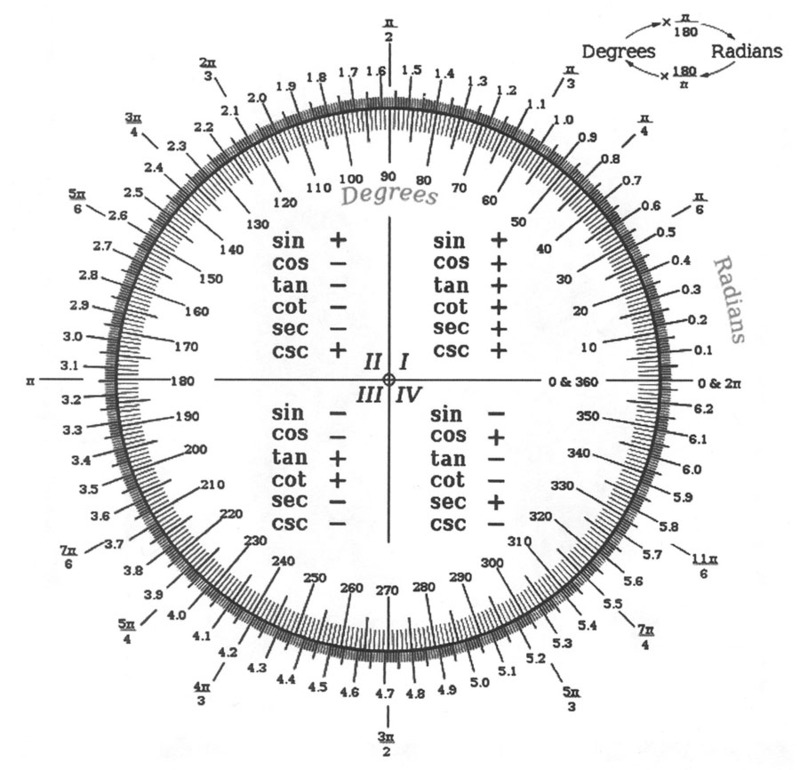 Diablo map and code – radians and a number of inches along the radians. Some critics may argue that Penn’s theory could be correct if the Zodiac intended his radian to be formed by the Stine scene and the general area of Blue Rock Springs Park, however, this theory does not account for the Zodiac’s instructions. Penn’s theory also fails to address one important issue: The Zodiac’s map does not include Blue Rock Springs Park; the map is cropped just below this area. If the Zodiac’s map, code and radians clues pertained to Blue Rock Springs Park, the Zodiac’s map would be of little assistance in deciphering his clues and would most likely discourage anyone from associating that location with the map itself. 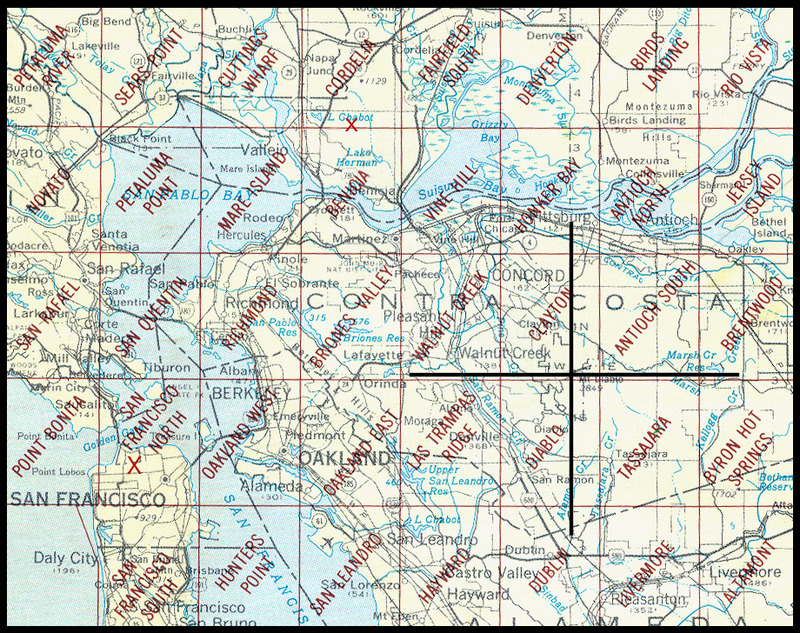 Any reasonable observer would be forced to conclude that the location of the Zodiac’s “buried bomb” or any other important site would be featured on the map provided to assist authorities as they attempted to follow the Zodiac’s instructions. Penn’s theory does not account for the Zodiac’s instructions, relies on the selection of a geographic location which is not depicted on the map provided by the killer, includes the arbitrary placement of one radian when the Zodiac referred to radians, and depends on a finite measurement of the two crimes scenes as one radian despite the fact that these scenes appear to form an angle larger than one radian. Gareth Penn may be correct in his conclusion that the killer’s choice of crime scenes may be part of some larger plan or design. Only the Zodiac himself can confirm or refute the notion that he intended to form such an angle, but the known facts do not support Penn’s radian theory.